We are writing about the critically important issue of preserving employment and job training opportunities for hundreds of thousands of Americans with intellectual and developmental disabilities. For over 80 years, Section 14(c) of the Fair Labor Standards Act has played an essential role in providing employment and training opportunities to men and women with intellectual and developmental disabilities. Section 14(c) permits employers to receive a certificate from the Department of Labor allowing them to pay individuals with disabilities a specialized wage based on the individual’s ability to perform the job. Thus, Section 14(c) strikes an important balance. It encourages employers to hire individuals with significant intellectual and developmental disabilities, while preventing discrimination and abuse by requiring the employer to pay the individual a wage commensurate to the prevailing wage for the job, taking into account that individual’s abilities. The specialized wage must conform to the Department’s regulations, be reviewed regularly by the employer, and adjusted as the individual’s ability to perform the job changes. Thousands of individuals across the country are currently employed under Section 14(c). Many are employed by work centers specifically designed to provide these men and women with experience and an employment path that will enable them to obtain competitive integrated employment. Many work centers are not-for-profit entities whose sole purpose is to serve individuals with developmental disabilities. The elimination of Section 14(c) would cause many of these work centers to close because they cannot afford to pay the men and women they serve the minimum wage. Those advocating the repeal of Section 14(c) seem to believe that the individuals served by these work centers would simply find competitive integrated employment to replace their work at the work centers. However, these advocates provide no empirical evidence supporting this assertion. Unemployment among individuals with intellectual and developmental disabilities is extremely high. Only 20 percent of individuals with disabilities participate in the labor force. The percentage is even lower for those with intellectual and developmental disabilities. This is a very diverse population with a wide range of abilities. Many have medical or behavioral challenges that preclude competitive integrated employment. For many men and women with intellectual and developmental disabilities, employment is not about the money they earn. Rather, they prefer the feeling of safety, the opportunity to work alongside friends, the atmosphere of kindness and understanding, freedom from being teased or picked on, assistance with personal needs upon request, supervised administration of medications and the wonderful sense of self-worth provided by a quality work center. There is no “one size fits all” solution when it comes to employment of individuals with intellectual and developmental disabilities. For the men and women who choose and are fortunate to have competitive, integrated employment, such employment is typically for 20 hours or less a week. Many are employed during the rest of their week at work centers at a specialized wage continuing to receive experience that will enhance their skills and enable them to expand their opportunities for competitive integrated employment. If work centers close because they can no longer pay a specialized wage, how will individuals with intellectual and developmental disabilities spend their time? Instead of the experience they gain at work centers, they will be at home watching TV, shopping at the mall, or going to the movies. Rather than helping individuals with intellectual and developmental disabilities, the elimination of Section 14(c) would cause them serious harm. was not replaced with a corollary increase in the use of more integrated forms of employment. The more integrated forms of employment remained relatively stable over the 15 years. So where did the individuals working in sheltered workshops go? Interviews with persons in the Oklahoma system indicated that these individuals were essentially unemployed, engaging in made-up day activities. Staff in Oklahoma homes pejoratively refer to this process as option quest, indicating that there was a daily quest to find an option that would occupy each unemployed individual. An additional troubling finding of the study was that, not only had a large number of individuals apparently fallen into unemployment, the number of hours worked by this sample fell by almost 50%. Clearly, a longstanding and successful federal policy which in the last 80 years has resulted in employment and job training for millions of men and women with intellectual and developmental disabilities should not be discontinued without compelling fact-based evidence that such a step would actually improve the lives of these individuals. 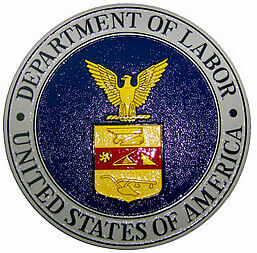 Those advocating the elimination of Section 14(c) point to instances where employers have misused the section and have violated the Department of Labor’s regulations. The answer to such abuses is to strictly enforce Section 14(c) and prosecute the violators, not to eliminate the section. The undersigned organizations abhor any abuse of Section 14(c) or individuals with intellectual and developmental disabilities. As noted above, the elimination of Section 14(c) would result in the closing of many work centers across the country. Many individuals with intellectual and developmental disabilities prefer to spend their days in such centers with their peers for the reasons stated above. Like every other citizen, the choices of individuals with intellectual and developmental disabilities should be honored. Those of us who are not disabled get to choose how and where to spend our days. This same right should be preserved for the men and women who are developmentally disabled. Eliminating Section 14(c) would eliminate one option that over the years millions of men and women have chosen and are satisfied with. Those who prefer competitive integrated employment should have that opportunity. Those who prefer work centers should be equally respected.